Approximately 40 participants, representing six social movements, took part in the March 16, 2019, event. A number of professors and holders of doctoral degrees were among the participants. 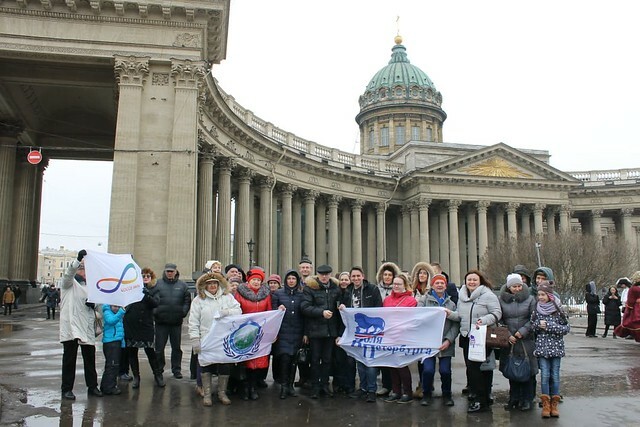 After a bus tour of the historic and beautiful city of St. Petersburg, the participants gathered for a meeting in which each organization gave a brief report on its activities. UPF gave a presentation about the Peace Road initiative. Participants exchanged contact information and discussed future cooperation. The program ended with a concert. The event was organized by Universal Peace Federation together with the NGO known as Will of Petersburg. It was decided to conduct monthly bus trips, which will be accompanied by roundtables and service projects. The next service project will be held with the Religious Youth Service (RYS) in an Orthodox church in a country village.